Earths International Research Society would like to introduce you to one of our valued society members Prof. Dr. Konstantin Meyl. 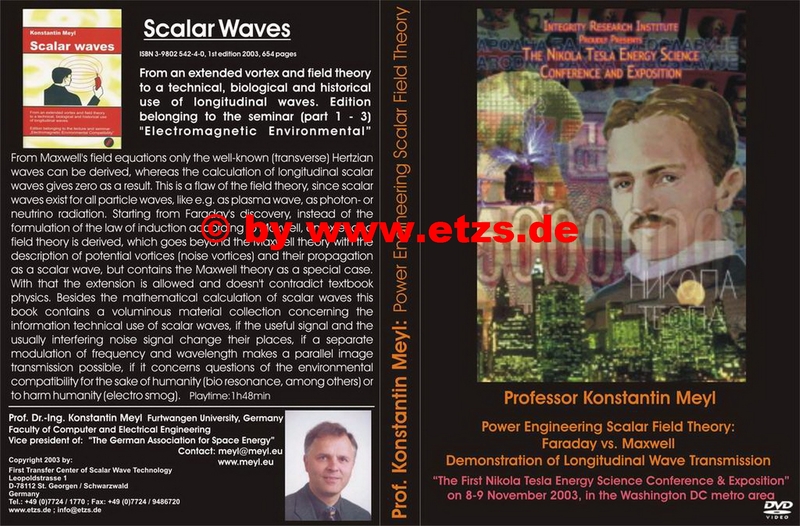 His research of field theory and scaler waves is bringing a better understanding to the explanations of Tesla’s ideas and the way he saw the universe. He, with your help of spreading the word, may re-revolutionize science with picking up where Tesla left off. Nikola Tesla was the biggest scientific genius in the last century. Today there is Prof. Dr. Konstantin Meyl from Villingen, Black Forrest, Germany. 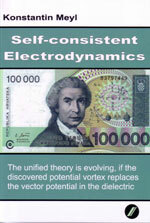 He has not only organized a revival of Tesla but developed his research to mindboggling levels. 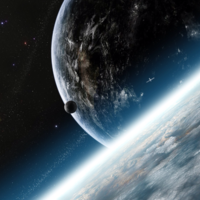 He detected that every vortex has a counterpart, a so-called potential vortex, being able to form matter. He shows that electrons, protons, neutrinos etc. are double vortexes, without needing a postulate. By that he proves that there are two more types of waves besides the already well-known electromagnetic wave (Hertz 1888). Tesla (1899) detected the electric scalar wave and Meyl the magnetic scalar wave, giving access to free energy, huge over-unity effects. The magnetic scalar wave, as an aspect of the neutrinos and therefore being faster than the speed of light, is used in all biology, so Meyl can explain how the DNA is sending information and energy as an antenna using a DNA wave. He describes what electro smog is and how we can avoid this. 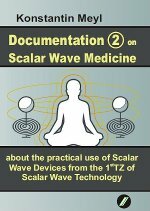 The cell phone industry, the TV/radio and computer industry and the car manufacturers could revolutionize their products by using scalar waves instead of electromagnetic waves, because they are more healthy, use less energy and have one dimension more to transport information. And finally Meyl found the unified field theory, which scientists the world over have searched a long time for. Even Einstein himself did not succeed because, as it turns out, he trapped himself in the wrong information that nothing is faster than the speed of light. Potential vortex, newly discovered properties of the electric field are fundamentally changing our view of the physical world. 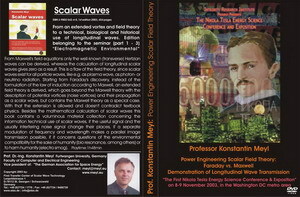 Prof. Konstantin Meyl has detected the magnetic scalar wave. Roughly 100 years ago Nikola Tesla detected the electric scalar wave; both are hushed up because they are linked to free energy. Neutrinos, speeding quicker than light, are an aspect of scalar waves, which can be harvested for free by galaxies, stars, planets, humans etc., giving evidence, that all of them are living entities. In this 3rd interview for White TV Prof. Meyl gives vital information for physicists, astronomers, astrologers, geologists and free energy researchers on how the universe is build up with neutrinos and how to catch them. 2006 Meyl was able to predict an earthquake in connection with a solar eclipse, because he knew of the Moons focusing of neutrinos. He describes why Kepler’s law is not fitting for the stars movements in a galaxy and why dark matter and string theories are useless nonsense. This interview is extremely important for doctors, because Meyl has found the missing links in how the human body is functioning. But it is also important for teachers to understand, why the kids have ADHD and difficulties to learn. Electro smog is explained and how we can get rid of it. Victims of tinnitus and mind control can learn a lot, why they are suffering and how they could improve their situation. *reference: Meyl, K.: Consequences of the Extended Field Theory, PIERS Proceedings, Progress in electromagnetic research, Stockholm, Sweden, August 13, 2013, page 930 – 935. *reference: Meyl, K.: Wireless Power Transmission by Enlarging the Near Field, PIERS Proceedings, Progress in electromagnetic research, Stockholm, Sweden, August 15, 2013, page 1735 – 1739. 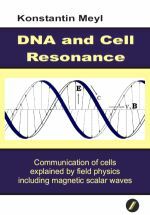 *reference: Meyl, K.: “DNA and Cell Resonance: Magnetic Waves Enable Cell Communication”, DNA and Cell Biology. April 2012, 31(4): 422-426. doi:10.1089/dna.2011.1415. WMSCI 2012 Proceedings Vol.II, page 113 – 117, Chair of BMIC/ WMSCI 16th World Conference Orlando, Florida, USA, July 18, 2012. An overview about books from Prof. Dr. – Ing. Konstantin Meyl. Please click onto the image or the name for further information. The big uniform theory waits when newly discovered potential-vortices are introduced to the dielectric and the vector potential is A substituted. Dr. Meyl described how field vortices form scalar waves. He described how electromagnetic waves (transverse waves) and scalar waves (longitudinal waves) both should be represented in wave equations. For comparison, transverse EM waves are best used for broadcast transmissions like television, while longitudinal scalar waves are better for one-to-one communication systems like cell phones. He also presented the theory that neutrinos are scalar waves moving faster than the speed of light. When moving at the speed of light, they are photons. When a neutrino is slowed to below the speed of light, it becomes an electron. Neutrinos can oscillate between e- and e+. Fusion involves e-, and a lightning flash involves e+. Energy in a vortex acts as a frequency converter. 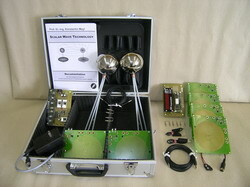 The measurable mixture of frequencies is called noise. Meyl also mentioned that the earth is expanding at a measured rate of 10 cm a year; therefore it slows the earth`s rotation. He also noted that the earth is now expanding at a quicker rate than it was 2,300 years ago and effects the length of our year. Meyl talked about Tesla`s scalar wave transmitter in Colorado Springs, Colorado in 1899. He transmitted energy 26 miles at velocities greater than light. Tesla measured the resonance of the Earth at 12 Hz. The Schumann resonance of the Earth is 7.8 Hz. Meyl shows how one can calculate the scalar wave of the Earth to be 1.54 times the speed of light. 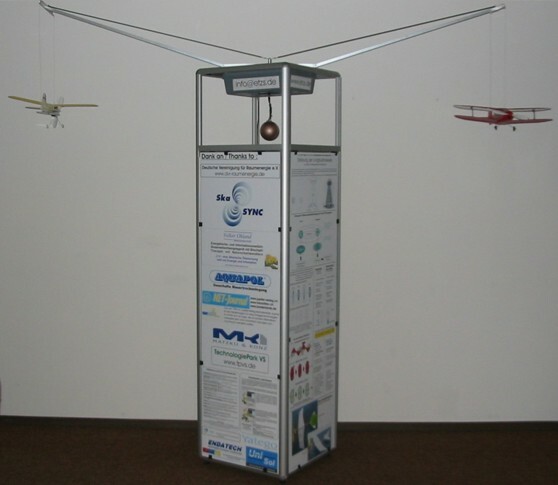 Meyl presented a model that ties the expansion of the earth to be the result of the earth`s absorption of neutrino energy. 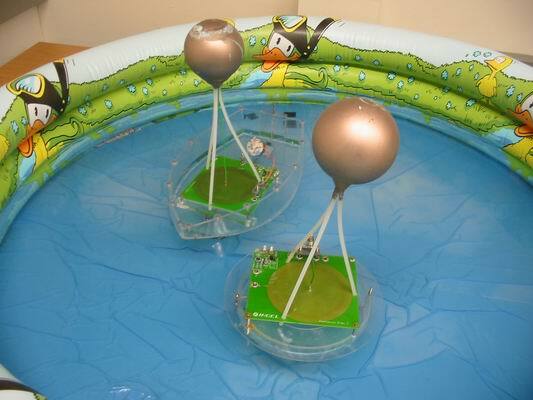 The ramifications of this model are that neutrino energy can be tapped. He took this the next step and postulated that Zero Point Energy is neutrino power – energy from the field; available at anytime, and everywhere present. To show the place of neutrinos in conventional science, Meyl noted that the 2002 Nobel Physics prize was in regards to work on neutrinos. 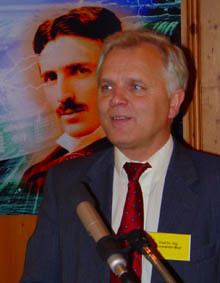 Meyl quoted a 1898 New York Times statement by Tesla that establishes Tesla, the “father of free energy” as also the discoverer of the neutrino. 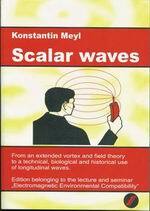 Do scalar waves exist or not? * What is the Maxwell approximation? * How could a new and extended approach look like? * Faraday instead of Maxwell, which is the more general law of induction? * Can the Maxwell equations be derived as a special case? 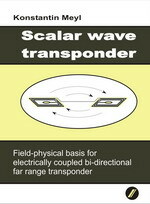 * Can also scalar waves be derived from the new approach? Power KitThis kit enables you to construct an energy transmission line according to Tesla, as it has been demonstrated by us on various fairs and congresses. The engines for an airplane and a ship are enclosed. With a minimum power of 10 watts your imagination is the only limit when choosing the load for the receiver. This device even lights fluorescent tubes at the receiver – StarWars lightsaber like. 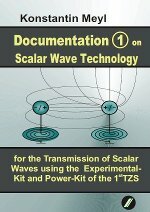 K. Meyl: Scalar wave technology, 2003, documentation and manual to the demonstration-kit and to the experimental-kit, INDEL Verlagsabteilung Villingen-Schwenningen (English Edition). K. Meyl: Scalar Waves, From an extended vortex and field theory to a technical, biological and historical use of longitudinal waves. 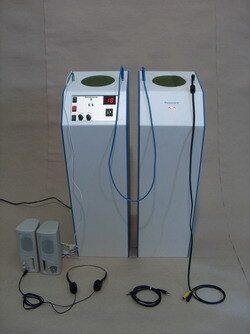 Edition belonging to the lecture and seminar „Electromagnetic Environmental Compatibility“,INDEL Verlagsabteilung Villingen-Schwenningen, 1st Edition 2003, ISBN 3-9802 542-4-0. K. Meyl: About the Classical Electrodynamics and Practical Applications Influenced by the Discovery of Magnetic Monopoles, 55th International Scientific Colloquium (IWK 2010) Ilmenau University of Technology, Conference Proceedings 14.09.2010 A3.1, ISBN 978-3-938843-53-6, page 112 – 119. 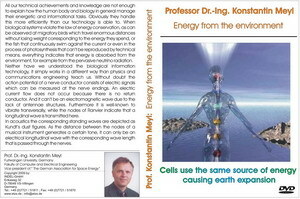 K. Meyl: “DNA and Cell Resonance: Magnetic Waves Enable Cell Communication”, DNA and Cell Biology. April 2012, 31(4): 422-426, doi:10.1089/dna.2011.1415. 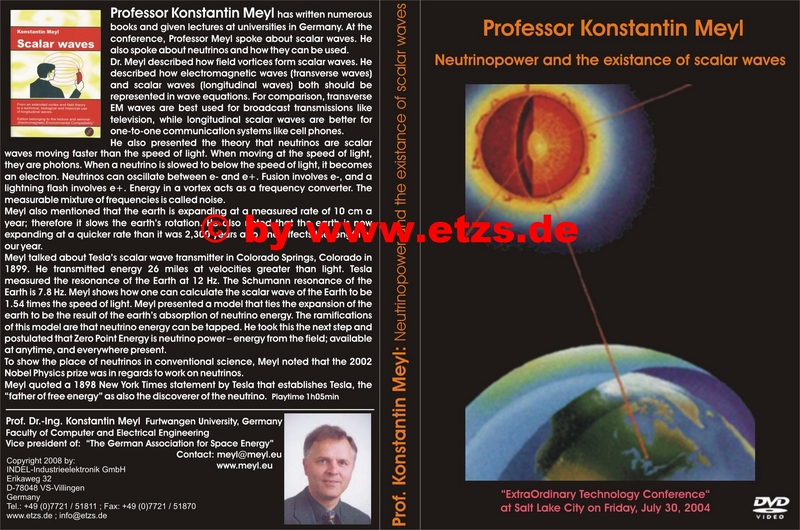 Steven Elswick: (book presentation) K. Meyl: Teslatec or Desertec? Extra Ordinary Technology 2012 July 28, page 11. 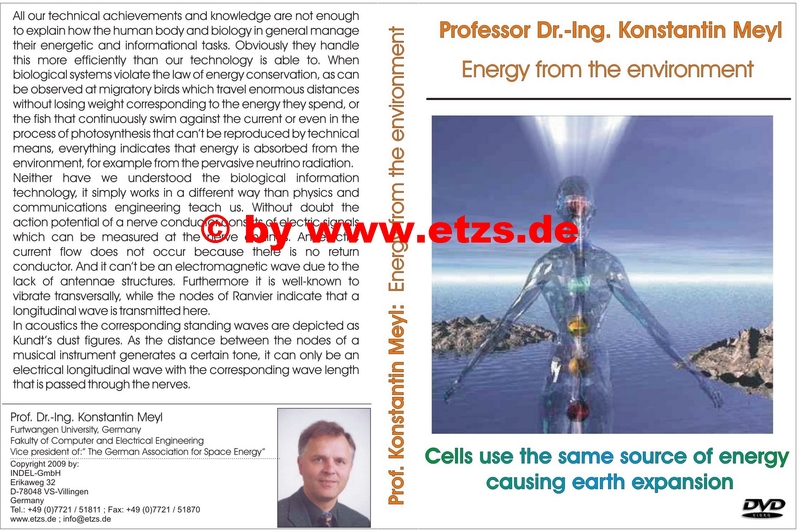 Duncan (Reviews-Books): DNA and Cell Resonance by Konstantin Meyl, p.64 ; (Reviews-DVDs): Energy from the Environment by Prof.Dr.-Ing. Konstantin Meyl, p.70, NEXUS Magazine 2+3/2013. Nikola Tesla was one of the world’s most gifted inventors. He developed ideas and technologies which were far ahead of his time. Many argue that Tesla singlehandedly created the 21st century. Until recently, the ideas behind many of his most innovative inventions were shrouded in mystery but recently, a German physicist has developed an elegant theory which derives much of Tesla’s work.